The reason for Christmas is Jesus Christ. 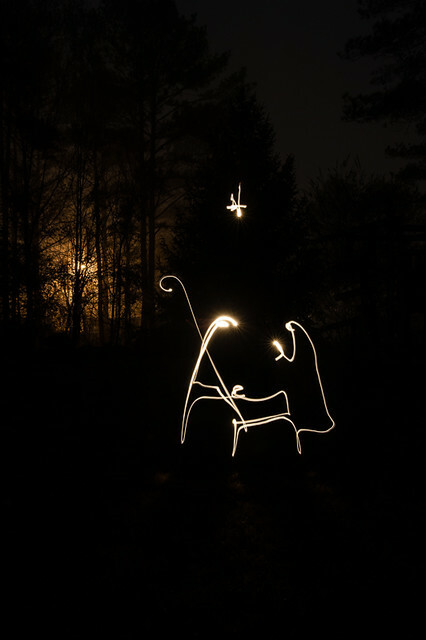 Here is my attempt of a light painted Nativity scene. Merry Christmas everyone.